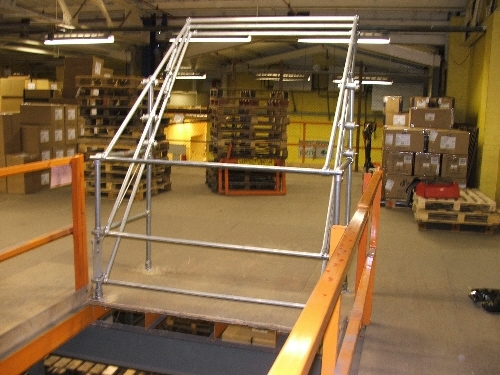 Loading through existing aperture in the floor with landing area intersected by through pallet truck access. Low headroom to existing light fitting. Confined space with through traffic. 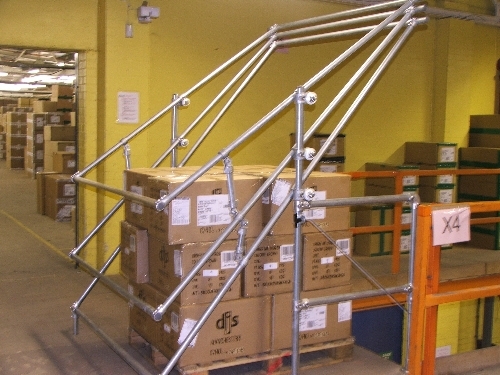 Supply of a Delta space saving low headroom high load pallet gate. The Delta gate has a gravity lock which ensures it won't inadvertently open when not in use.